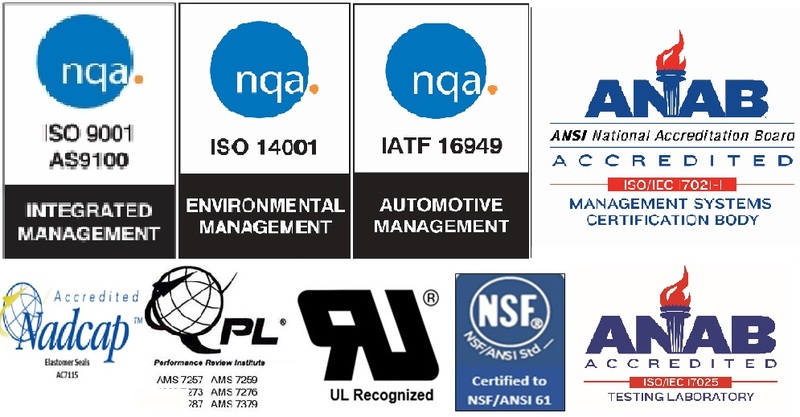 For more information on UL Certifications Directory, please visit: www.ul.com For access to UL Application Definitions click here. Drinking Water System Components – Health Effects NOTE: Unless otherwise indicated for Materials, Certification is only for the Water Contact Material shown in the Listing. Certified for a maximum surface area to volume ratio of 2 sq. in./L. Precix F19 (AMS7287), F75 (AMS7276), F90 (AMS7259), F139 (AMS7379) and PO3 (AMS7257) are all QPL listed. PRI Alpha list is available by via this link. For a complete listing of our AMS/MIL (QPL) compounds click here.